The South Korean Government regard Internet Addiction as a serious problem. On the one hand they support the technological advancement of the country. However, they also acknowledge that they must protect its citizens from the harmful effects of the technology they are developing. The Korean Government promotes the advancement of the technological industry which is vital for the economy, as well as protecting the cyber-health of its children. South Korea passed the the controversial Shutdown law (also known as the Cinderella law in 2011. This government policy forbids children under the age of 16 to play computer games from 12pm midnight to 6am. During this shutdown period, access to online PC games can only be made by those over the age of 16 using a Korean social security number. However, this does not apply to console games nor smartphones/tablets. 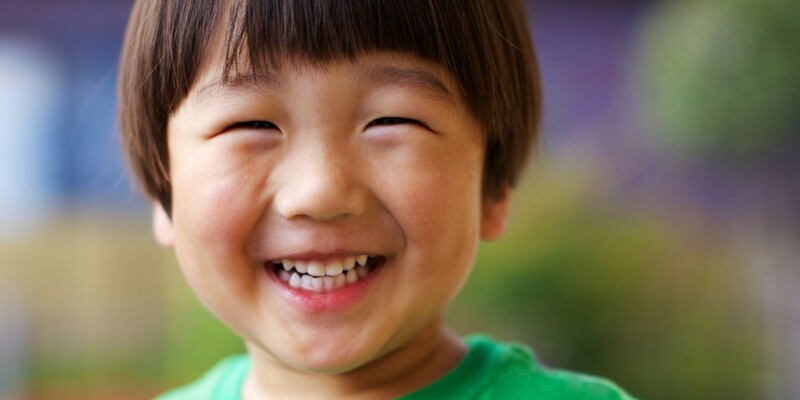 The law has since been changed, such that the ban may be lifted at the parents’ request. Watch a 3 min BBC video about this law here. 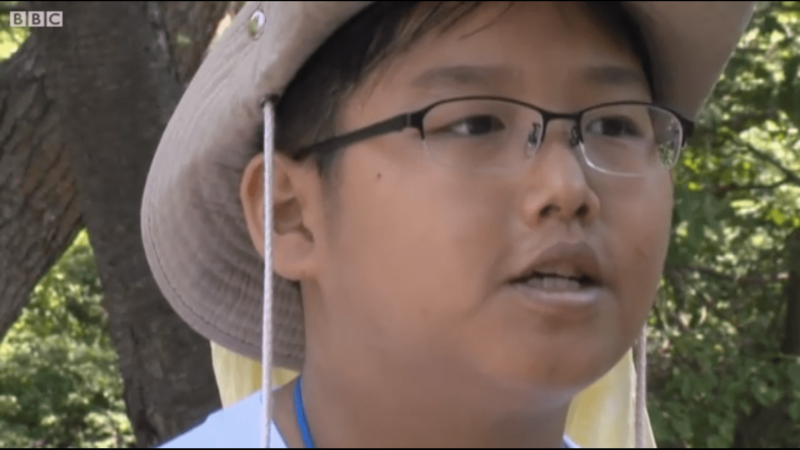 A Korean boy featured on the BBC documentary reflecting on the difficulties of managing his anger when his parents ask him to stop playing online games. 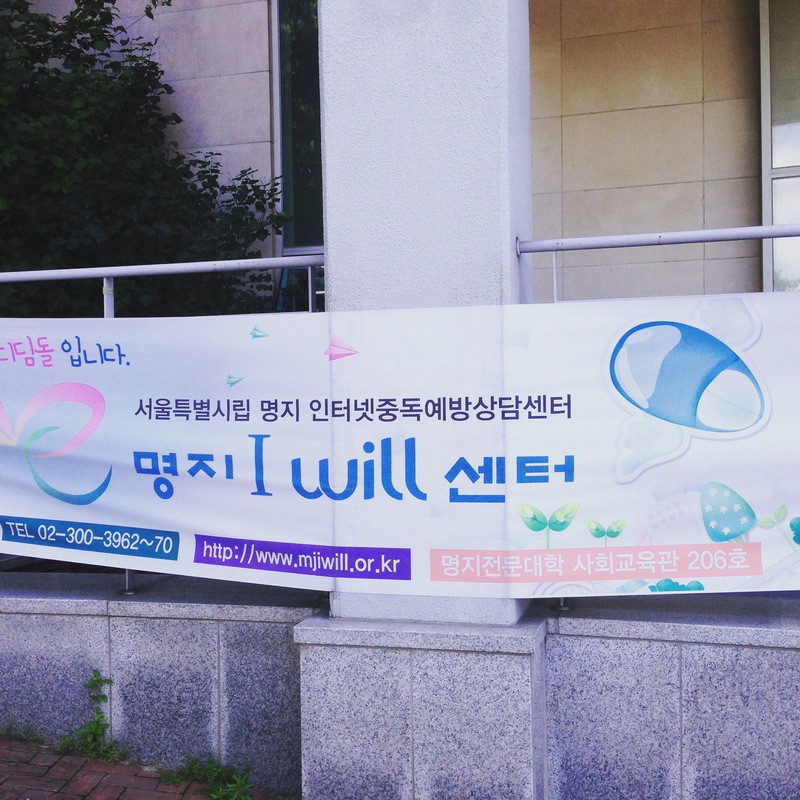 Yesterday, on my research trip to South Korea, I visited the Myonji “I Will Centre,” a government funded initiative formed to assist Korean children at risk of developing Internet Addiction. I met with Ms Hee-Sung Kim ph.D and her counselling team at their clinic situated in a local college. There are six I Will Centres in Seoul and each clinic see a staggering 1000 at risk students a year. That is up to 6000 students a year, just in the Seoul area. Children in years 4, 7 and 10 are specifically screened using a Korean modified version of the Internet Addiction Test (IAT). 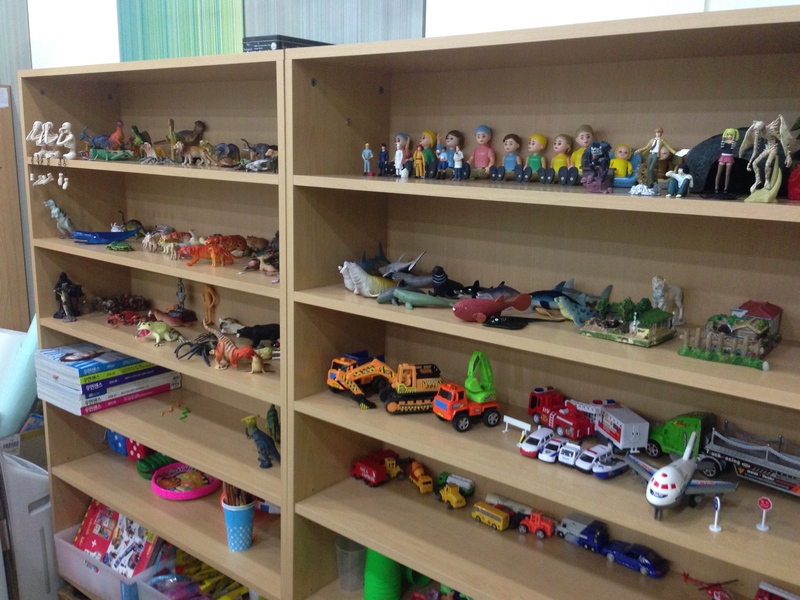 I Will Centre use many types of tailored therapies, such as play therapy to assist children with problems managing their Internet use. I asked the I Will team about the Shutdown law and what they have observed. It appears that it has not really affected the number of children coming their service for help with excessive Internet use. Children who experience difficulties managing their Internet use inevitably find ways to get around the law, such as using an adult’s identification number. Also, children are not just affected by PC Internet gaming, but excessive smartphone gaming and social media use is becoming just as problematic. Internet gaming is no longer limited to the PC. 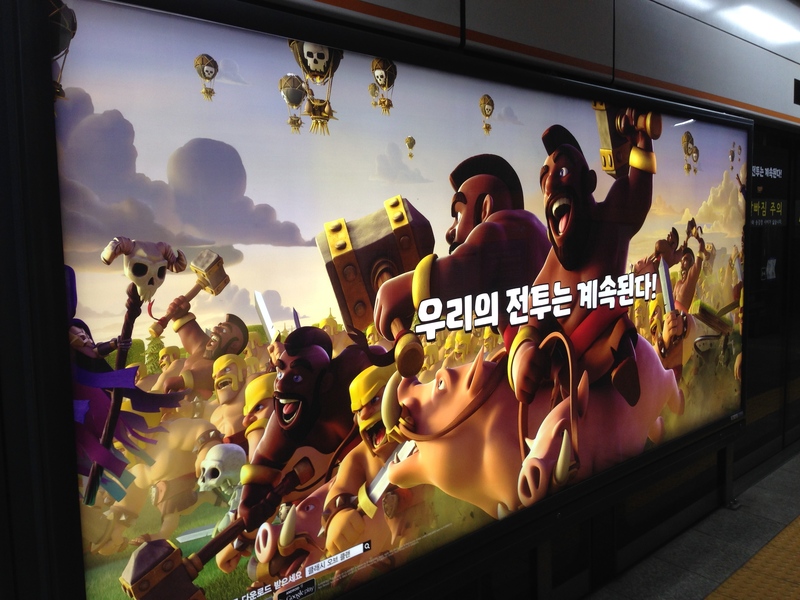 Picture of one of the many Korean Metro Subway advertisements, marketing the latest smartphone gaming app. Such games are not subject to the Shutdown Law.